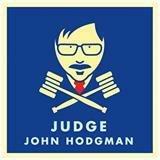 Judge John Hodgman: Leigh files suit against her son Duncan. Duncan is ready to take to the open road on a motorcycle. Wow in the World: Does sushi make us smarter? What did early humans eat to make their brains develop? The 90-Second Naturalist: Thane Maynard, Director of the Cincinnati Zoo & Botanical Garden gives you a daily glimpse into the natural world.